A specialty peel is a solution that is applied to the skin. The solution remains on the skin overnight. The peel solution stimulates the skin cells to promote new cell growth, revitalizing skin, along with killing bacteria to aid in the clearing of acneic skin. The effectiveness of the peel can also be enhanced by the addition of the BLU-U boost treatment after the peel. The is great for acneic skin due to BLU-U's ability to kill acne bacteria and increase exfoliation. Our peels are a blend of alpha hydroxy acids, lactic citric and/or glycolic acids. 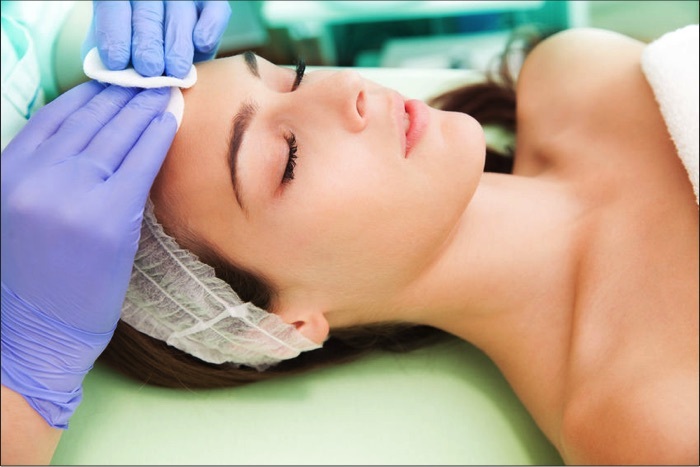 Specialty peels are an effective way to address many conditions by stimulating skin at the cellular level. Our peels are safely used on adults and children. Our peels are solutions which allow the skin to mildly slough or flake off. Not all skin types will react similar. Some skin types absorb the solution and will not slough, but continues to work at the cellular level for continued correction. Peels are used to treat various skin issues from acne to sun damage and anti-aging. Just like exercise, results will not happen with one session. Our prices are rock-bottom to allow patients to continue their recommended routing.